From Sanjay Gadhvi, the master-director of mega blockbusters like Dhoom and Dhoom: 2, Kidnap is a high-octane edge-of-the-seat drama about a power tussle between a young boy and the father of the girl he kidnaps. Sonia (Minissha Lamba – Bachna Ae Haseeno) lives with her mother, Mallika (Vidya Malvade – Chak Dey India) and grandmother because her parents divorced when she was ten. A week before her eighteenth birthday celebration, she gets kidnapped. The abductor, Kabir (Imran Khan – Jaane Tu Ya Jaane Na) is interested in speaking only to her father, Vikrant Raina (Sanjay Dutt), an affluent New York-based Indian businessman, with whom he has an old score to settle. Vikrant returns to India to retrieve his daughter from Kabir’s clutches but has to carry out a series of daunting tasks set out by Kabir as a condition to rescue her. At the end of each task is a clue that helps Vikrant in coming closer to Sonia. Is his mission as easy as it seems? How far will a father go to save his daughter? What redemption is there for Kabir at the end? Sanjay Dutt’s first release of 2008, co-starring the latest teen sensation, Imran Khan, Kidnap makes for compelling viewing as the big festival release on Eid. It features music by Pritam. 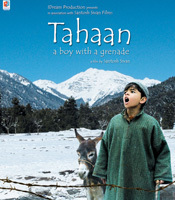 ‘Tahaan’ – is a fable-like journey of the eponymous eight-year-old boy, whose life revolves around the pursuit to find real purpose in his little world. 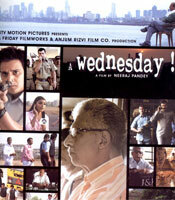 “WEDNESDAY” tells the story of certain events that unfold between 2 and 6 pm on a particular Wednesday – events which do not exist in any record but which deeply effects the lives of those involved. Prakash Rathod, Commissioner of Police, Mumbai (played by Mr Anupam Kher) gets a call demanding the release of four militants in lieu of information on bombs that..
EK VIVAAH AISA BHI, Rajshri’s 52nd offering, will be directed by Kaushik Ghatak, who makes his directorial debut in feature films after directing several television serials like KYUNKI SAAS BHI KABHI BAHU THI, SANJEEVANI, WOH REHNE WAALI MEHLON KI and many others. The marathon music recording of nine songs for the film concluded on 24th December under the supervision of music director and lyricist Ravindra Jain. The songs were rendered by Shaan, Shreya Ghoshal, Suresh Wadkar, Pamela Jain, Satish Dehra and Fareed Sabri. Karzzzz (2008)Karzzzz is a film that explores the psychological traits every individual possesses. Some so powerful, they lead us to vices like greed, obsession, hatred, deceit, betrayal and even Murder. 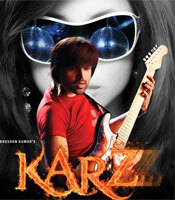 Set amidst the majestic and breathtaking locales of South Africa, Karzzzz is a remake of the 1980 Subhash Ghai hit Karz.